Krystal studied Esthiology and graduated from the Aveda Institute in Minneapolis in 2007. She then went on to work at a premier Brow Bar at the time, where she underwent an extensive five-month brow apprenticeship. During this time she attended trainings in airbrush makeup, facial threading, custom spray-tanning, and eyelash extensions. She is a life-long learner, and extremely passionate about education and staying at the top of the beauty industry. 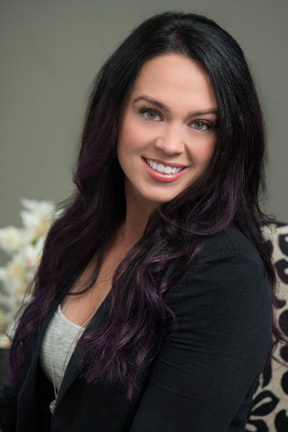 Krystal became a senior esthetician and spa educator for a salon in the south metro before realizing her vision of creating Brow Bella. Danielle’s journey has taken her from being an esthetician, to working as a freelance make-up artist and educator at the Aveda Institute, to now being back in the salon as an esthetician. She believes we never stop learning; therefore she has taken many advanced trainings such as waxing, sugaring, facial techniques and makeup. She is passionate about makeup and skincare as well as brows, and loves making people feel great before they leave her treatment room. Danielle believes in the importance of wellness and self-care; whether that is focusing on working out, diet, or time to breathe and pamper one’s self.